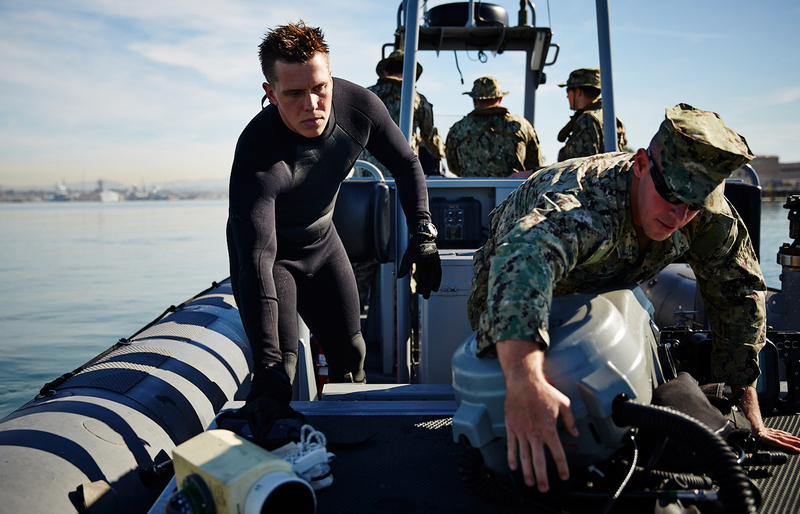 The Navy Reserve is a valued partner of the Navy's active-duty component. It offers citizens the chance to serve on a part-time basis, training near home until called to Active Duty. A reservist can pursue a full-time civilian education or career, or obtain special military training while serving. Service members share their views on the Navy. Lt. Alex Burtness: I knew that I wanted to go to a service academy and for me the Naval Academy was the obvious choice just because you had the option of you know, flying jets, becoming an EOD Tech, you know leading Marines, driving ships, driving submarines. Petty Officer 2nd Class Andrew Crandall: After high school, I decided that I didn’t want to just go right to college. I figured I would join the Military, do something for my country, and maybe get a little money for college on the side. Petty Officer 3rd Class Robert Glaude: Talking with friends who are back home, it’s actually pretty exciting because, you know, they’ve been in Texas the whole time, and I’ve been in two years and I’ve seen eight different places. Honestly, I’ve gotten a lot more than—than what I can measure. Like, in college courses or in money in the bank account—the life experiences I’ve gotten, I’ve got from the Navy and just the growing up, the maturity that I think I’ve gotten from the Navy. Petty Officer 2nd Class Maya Dover: You really see how much you impact the Navy. It’s definitely humbling. Lt. Alex Burtness: Military service is very fulfilling. The opportunity to serve your country and work with other like-minded people and particularly for me the opportunity to do this job, I really can't imagine a line of work that is more fulfilling. To join the Navy Reserve, you must be between 18 and 35 years old (exceptions can be made for those with prior service). You must also pass a physical exam and have a high school diploma, although, in rare instances, GED certificates can be accepted. For individuals with prior service, your physical exam is very important when re-affiliating with the Navy Reserve. All enlisted Navy reservists must take the ASVAB test to determine placement within the Service. Navy Reserve training, like full-time Navy training, begins with seven to nine weeks of Boot Camp at Recruit Training Command in Great Lakes, Illinois. Time in the Navy Reserve can provide valuable career skills that apply directly to the civilian world. Navy reservists work with the latest technology under high pressure — learning many valuable skills that employers demand. Whether a reservist performs duties similar to his or her civilian job or something entirely different, military training can make a huge impact on future career success. For full-time career options, also take a look at what the Navy has to offer. The Navy Reserve provides a flexible employment opportunity to serve while maintaining a civilian career. In addition to regular pay for all time spent training and deployed, a member of the Navy Reserve receives top-of-the-line job training, travel opportunities and even college credit for certain experiences.